This week I’ve been getting some hands-on time with the newly announced Sony A7R III at PhotoPlus, mostly with the intention of comparing it with the remarkable new Nikon D850. I wasn’t allowed to keep any photos from the Sony, since only pre-productiom models were available, but I did start getting a feel for the camera. It seemed that the Nikon D850 was the perfect camera1, but the Sony A7R III has made me reconsider. As usual, it’s worth taking a look at the cameras’ basic stats. I’ve marked the “better” stats in green, with the understanding that “better” can be a subjective term. 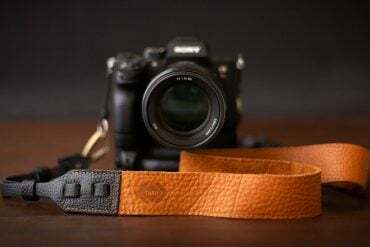 If you’re a travel photographer, a landscape photographer, a photojournalist, or just someone taking vacation pictures, there are a few important criteria: the ideal camera will be compact and lightweight, but sturdy and well sealed. Both cameras are well built, but the Sony is considerably smaller and somewhat lighter. While the D850 is a medium sized DSLR, the A7R III is more comparable in size to a compact point-and-shoot camera. It is just a half centimeter wider than the Sony a6500. The APS-C Sony a6500, Sony A7RIII and Nikon D850, for size comparison. Though it is smaller, the Sony is still a robust piece of hardware, and weights only2 about a half pound less than the Nikon. 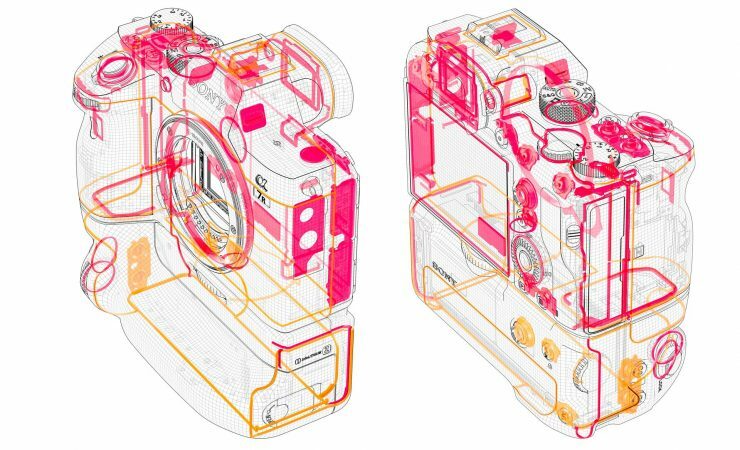 While the back and top plates of the Nikon are magnesium, the entire body of the Sony is metal, which helps account for its heft. Both cameras are heavily sealed, so extended use in the field should not be a concern. Given its weight and size, I’d rather carry the Sony. If you have large hands, the camera may be more comfortable with the battery grip attached. If you’re going to be away from a power source for a while, though, battery life is also a serious consideration, and has long been a drawback of mirrorless cameras. It’s hard to over-state the importance of image stabilization when shooting in poor light. Yes, you’ll still get motion blur in a moving subject, but sharp surroundings can save an image that would otherwise be worthless. Many of the best lenses these days have stabilization built in, but none of Nikon’s camera bodies have it built in. The Sony A7RIII does: it has a 5-axis stabilization system that can provide up to 5.5-stops of stabilization. With built-in stabilization, you get the benefits with any lens that you use. Want to shoot with a manual focus Zeiss Batis or Loxia lens? With the Sony, you get stabilization. This also means that you don’t need to pay for more expensive stabilized lenses, and you don’t have to carry around the extra weight of stabilized lenses. Of course, a wide range of stabilized lenses are made for Nikon, and many of them offer 3 or 4 stops of stabilization, perfectly tuned to the performance of that particular lens. You’ll pay for it, and you’ll have to carry around the extra weight, but most focal lengths are covered. Action photographers need to prioritize two things: a camera’s autofocus system and its speed and responsiveness. The Sony A7R III focus points cover twice the area of the frame. 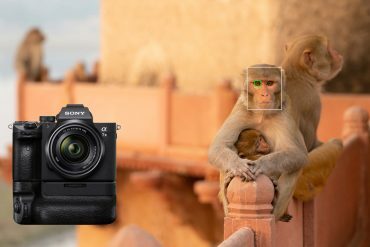 On paper, the Sony A7R III has the superior autofocus, with a hybrid-AF system containing more than double the number of phase detection AF points and covering twice the amount of view-finder real estate, plus another 425 contrast-detection points that work in conjunction with them. However, it’s unclear how many of the phase-detection points are cross-type points (which are more reliable). I tested it on numerous passers-by, but no fast action. Still, it was nice and fast, and the face and eye detection make focus tracking a breeze. And unlike many previous Sony cameras, the A7R III has a joystick on the back to quickly select the AF points manually. The Nikon D850 has fewer overall AF points, but nearly 100 of them are cross-type, and the AF module is the same as that found in the Nikon D5, which has arguably the best autofocus system in a DSLR for shooting action. Early tests show that the AF system in the D850 still doesn’t quite match the D5, but it is still quite capable. 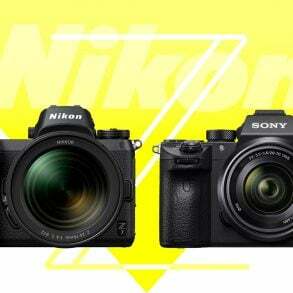 When it comes to speed, the Sony is ahead of the Nikon again. The Nikon’s maximum frame rate is 7 fps, 9 when the power-boosting battery grip is attached. The Sony A7RIII gives you 10 fps whether you’re using an extra grip or not. But it’s not just a matter of how fast you can shoot, but how long: the Sony can shoot 79 of its 14-bit, uncompressed RAW files in a row, while the Nikon will bog down after 51 lossless compressed shots (assuming that you’re using a fast XQD card, and even fewer with an SD card). It’s not usually a significant difference, since even most sports photographers rarely shoot more than 20 or so shots in a row. Back with my first Canon EOS film cameras, I grew accustomed to having exposure compensation accessible instantly on my thumb wheel, and when I started shooting Nikon digital cameras, I missed it sorely. 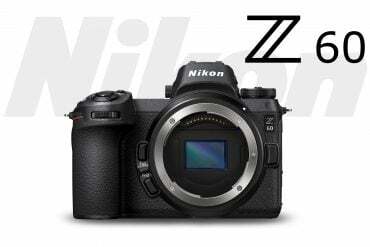 The Nikon D850 uses the typical Nikon system: there’s a (+/-) button that you have to press on the top of the camera and then you make adjustments with the main dial. It’s fine, but I prefer direct access. The Sony A7R III has a dedicated dial for exposure compensation by the right thumb. And although I never use them, many owners of the Nikon D7000 series cameras love the custom user mode positions on the main mode dial (U1/U2). The D850 doesn’t have a command dial, or these easy to access settings. The Sony, on the other hand, has three of them. 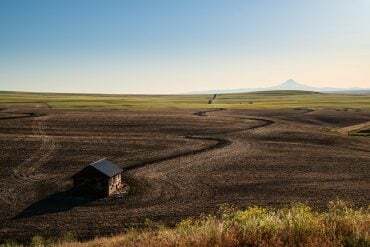 When photographing landscapes, products, and portraits, extra resolution is always desirable. In this case, the Nikon D850 has a slightly higher resolution than the Sony (45 megapixels vs the Sony’s 42). This is a very modest difference, but capturing more data is always better, as far as I’m concerned. Both sensors are back-side illuminated and therefore perform exceptionally well in low light, and both cameras can provide about 15 stops of dynamic range at their lowest ISOs. The minor differences between them (at ISO 64 vs ISO100) should be insignificant in real-world use. The Nikon D850’s bonus in resolution will primarily be an advantage for portraits and candid shots, though. 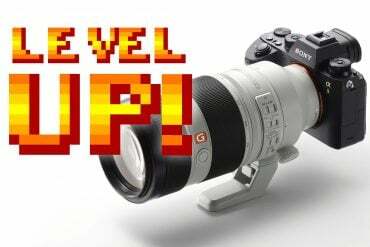 For almost anything that you’d shoot from a tripod, the Sony A7R III has pixel-shift stacking3, which can produce files with approximately 170 megapixel resolution. Because the Sony’s sensor is floating rather than fixed (for image stabilization), the camera can take four sequential shots, with the sensor shifted one pixel up, down, or over, so that each point of the image is captured with a red, blue, and green receptor. Not only does this dramatically increase resolution, it creates a file in which each point has been sampled in all three colors, like a Foveon sensor, for excellent color reproduction, at least theoretically. With the Sony, unlike Pentax counterparts, the images are processed and combined out-of-camera. And for focus-critical work, the Sony (and all mirrorless cameras) has an inherent advantage: the camera focuses based on the image on the sensor, not on predictions from a separate AF module that’s not on the focus plane. So, while DSLRs and certain lenses may front or back-focus at a certain distance, a mirrorless camera lenses should never need micro-focus adjustment. 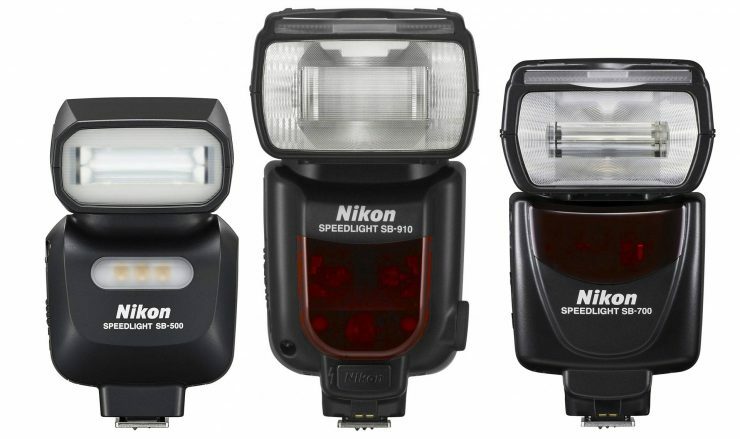 Nikon has long been known for it’s Creative Lighting System (CLS) and its sophisticated flashes, dating back at least to the early 1990s, and even today, they are at the head of the class. Photographers like Joe McNally4, author of the books The Hot Shoe Diaries and Sketching Light, have shot countless magazine covers and portraits with Nikon’s remarkable flashes. And even if you don’t care about Nikon’s own flash system, there are numerous third party flashes and triggers that are are made to work seamlessly with Nikon cameras. Sony, on the other hand, is a relative newcomer to the flash game. A few years ago, I’d have been hesitant to recommend the Sony to anyone who does a lot of flash photography. However, Sony has really made strides in the past several years. 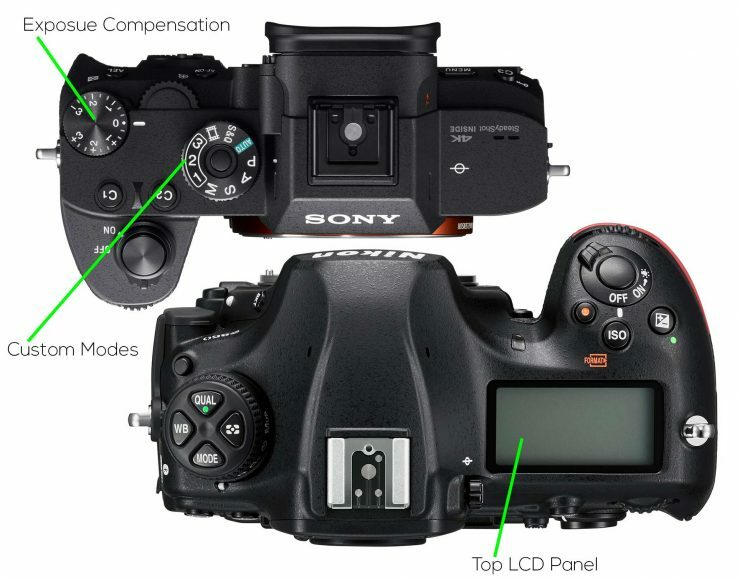 They now have a wireless flash system of their own, and 3rd party triggers and flash units for Sony are fairly common. 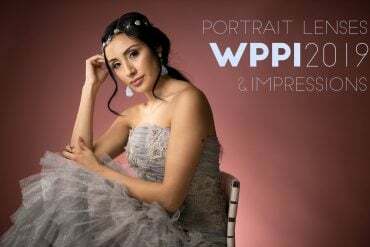 In the studio, the likes of ProPhoto Air Remote now support Sony cameras with full TTL capabilities. Still, figure out whether your needs are supported by Sony before you purchase. I don’t shoot much video, so I’ll leave the details of this comparison to people more experienced, but there are a few easy, important factors to consider. 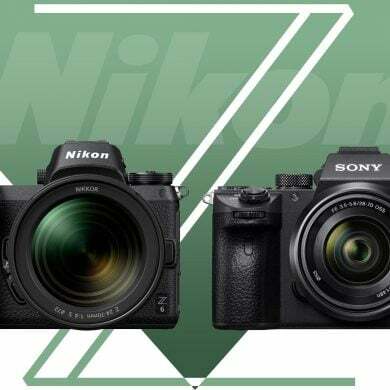 First, when it comes to autofocus while shooting video, there is no comparison: the Sony is dramatically better than the Nikon. For some reason, Nikon still relies solely on contrast-detection auto-focus for live-view and video, which is unusably slow. Sony A7R III, being mirrorless, is just as fast and reliable when shooting video as when shooting stills. 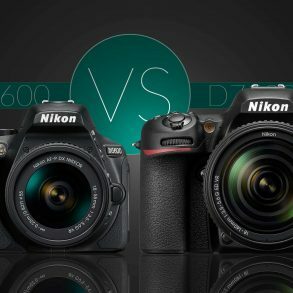 For manual focus, the Nikon D850 has no focus peaking, while the Sony does. Second, while both cameras shoot full-frame 4K, the capture process is different5. 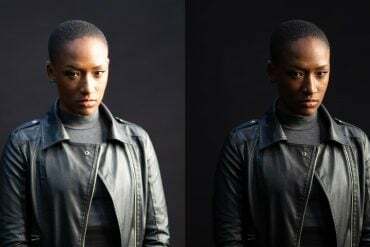 The Nikon uses pixel-binning to reduce the readout of the 45 megapixel sensor down to the roughly 8 megapixels displayed in 4K video, which is generally agreed to be a less than ideal method of video capture; it tends to create moire problems and suffers in low-light. Sony, on the other hand, uses oversampling, creating a 5K image for each frame and then resizing that down to 4K on the fly. This is a more processor-intensive method, and can potentially generate more heat, but generally provides superior image quality. Finally, I’ll add that the Sony can capture S-LOG video, a format that captures a greater range of tones and detail (though it appears flat and desaturated) but requires color grading during post processing. The Nikon D850 does not offer LOG capture, yet, though I’ve heard that they offer a decent “flat” profile for shooting video. All in all, the Sony seems like a much stronger, more professional option for film-makers. 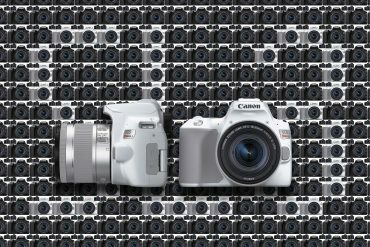 When you buy a camera body, you’re buying into a complete system of lenses, flashes, and other camera accessories. 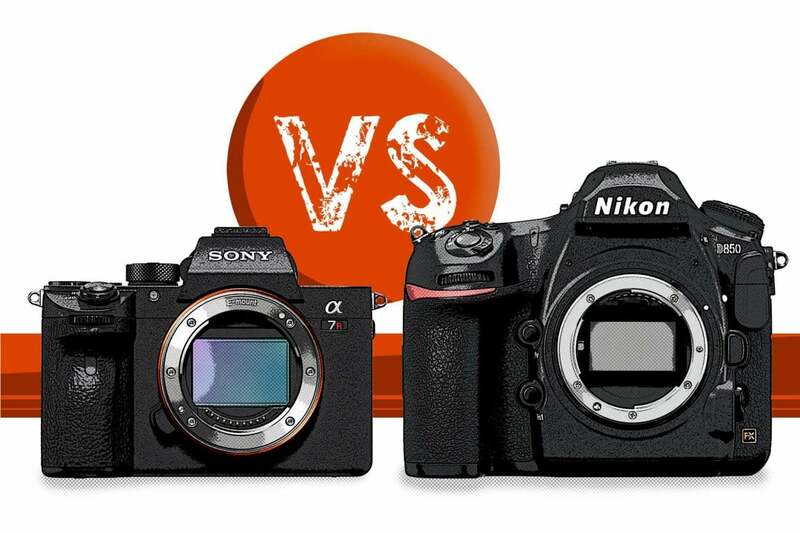 How do the Sony and Nikon systems compare? A selection of recent Nikkor lenses. Nikon has a 100 year history of making cameras and lenses, and the D850’s “F” mount has at least basic compatibility with all of the “F” mount lenses made within the past 58 years, currently at least 4006 of them, plus hundreds of additional 3rd-party lenses. Tamron, Sigma, Zeiss, Samyang, Tokina and Irix, among others, all make lenses to fit Nikon cameras. Whether you’d want to actually use many of those lenses is another question. 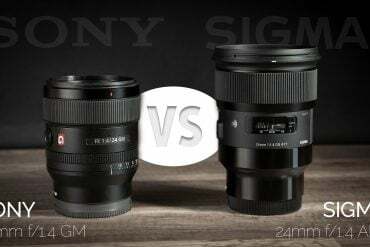 Sony is a relative newcomer to the camera market, and their own lineup E-mount lenses is modest in comparison, with fewer than 25 full frame lenses available. 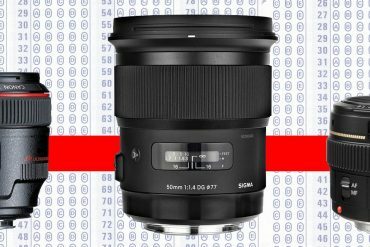 Sigma and Tamron don’t make any full-frame Sony lenses (and only a couple of APS-C), and Tokina doesn’t make any autofocus lenses for Sony E, though their manual-focus FiRIN range fits Sony. On the other hand, Samyang makes a line of autofocus lenses exclusively for Sony E-mount. Between Sony and Samyang’s lenses, most of your bases will be covered, but not all of them. 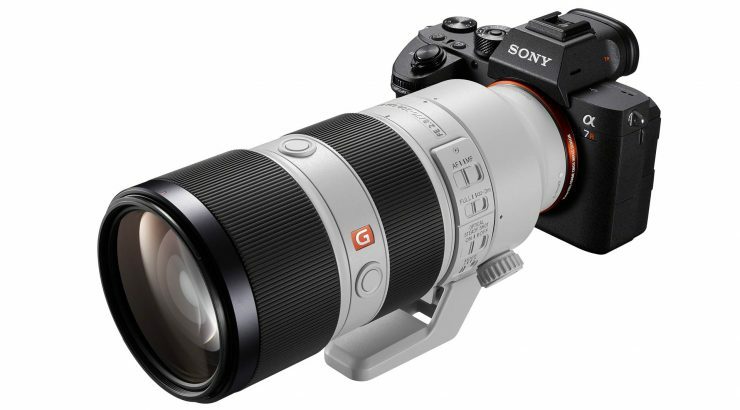 Sony doesn’t make any large aperture super-telephoto lenses, yet, so you’d need to use Canon’s lenses and an adapter. We all know that the lenses you use with your camera are just as important as the body (probably more important, in fact), so make sure that you can meet your needs with Sony before rushing into the system. Luckily, Zeiss and G-Master lenses that Sony makes generally have an excellent reputation (though their prices can be high). Finally, it’s worth thinking about the professional support system offered by the companies. Nikon Professional Services has a great reputation for handling equipment problems and returns, replacements in the field, repairs, loans, cleaning and a variety of other services for professionals. Sony launched their own professional services system in 2014 (Sony Imaging Pro Support), but their reputation has not been so great. YouTuber Matt Granger has famously written-off Sony solely because of the poor treatment that he received from Sony support, and he’s not the only one who has complained of poor service. However, Sony has been addressing these problems and has recently expanded their Pro Support system, now with a 24/7 call center and walk-in spots around the country. It’s clear that Sony is serious about Pro support, but it’s not for the hobbyist7 and time will tell whether they’re able to live up to the standards of NPS and CPS. I’ve been skeptical of Sony’s cameras for professional use for years (they often seemed like they contained a laundry list of great features, haphazardly thrown together in a body, not thoughtfully produced tools), but that time is gone. On paper, it appears that the Sony A7R III is an almost ideal camera for most photographers, especially those who also shoot a lot of video. Our primary concerns remain with the Sony’s autofocus system (for professional sports photographers), which performed well in my limited trials, but it doesn’t have the Nikon’s pedigree and street cred. However, with my experience of the Sony A7R III, along with that of my colleagues, I’m satisfied that Sony finally has the real deal with the A7R III (and probably the Sony A9 as well). As always, if you have any questions or comments, please leave them below! I’ll do my best to answer them as soon as I can. Matthew, Thanks for such a good review. I’m currently a Canon 7dmkii shooter as I mainly shoot birds and other wildlife. I also use it to shoot a few portraits now that people know I’m a photographer. The other uses are for family and shooting my daughters as the dance on stage. 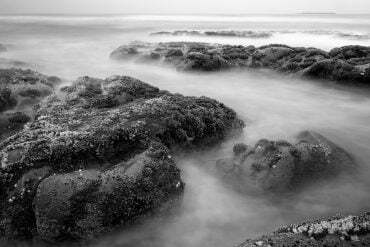 I’ve often longed to add a FF camera to my kit for most of my work except the birds and wildlife aspect. The new Sony seems like it would work and serve both purposes so I wouldn’t need two bodies. I currently shoot the Sigma 150-600 C for my wildlife shots and have the Canon 70-200L 2.8 Mki and the Tamron 24-70 2.8 G2 lenses as my main kit. 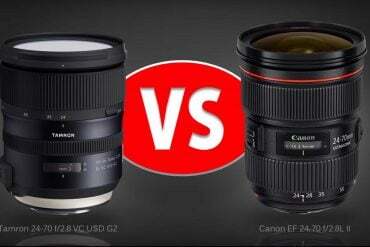 Do you think the Sony can keep up with the focusing prowess of the Canon with those lenses adapted to it? I have no issues with what I would get for portraits or indoor work it is the birds that scare me. Now that it has been a few months have you been able to test it more? What are your thoughts on it now and for my concerns? #7 – pay $100 to be approved as a pro by Sony? Sony A7’s as a whole have some great attributes – Sensor quality and general build being two of them, but ignores the fact that the lenses are just as large and heavy as the canon/nikon alternatives. The body is smaller, but its not exactly light and the grips are just not good enough with a large lens attached. You also then have the question of the colour palette – Nikon colours are the most natural and canon slightly warmer and family friendly, but sony files need much more work. Sony are leading tech development no doubt, but the form factor and the colour profiles are not there yet. 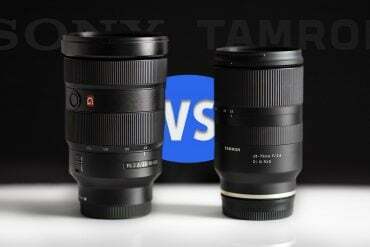 I agree that the weight difference is seriously mitigated by the large size of Sony’s lenses. Body ergonomics is a matter of taste, and while I’m happy with a larger grip, there are plenty of Fuji and Leica shooters (to name a few) who are perfectly happy with smaller grips, so… to each his own, there. I’ve been primarily a Canon and Nikon shooter for the past 20 years or so. There are some minor differences in color rendering with the lenses, and some minor differences with the color profiles, if you use the default profiles. However, if color accuracy is really critical to your work (or you just don’t like the default rendering), it’s a relatively fast and simple matter to use a color checker and create new profiles for Lightroom/ACR for your camera (and lens combinations). 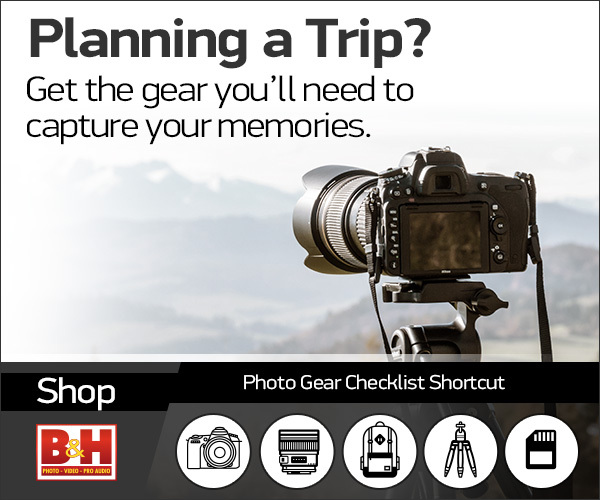 It might mean spending an extra hour or two when you get your camera, but it means that you can get whatever camera brand you want and not worry about color issues. The reasons Sony does not have super long telephoto lenses is because they have not solved how to remove the motion blur caused by the in camera stabilization on long lenses…most manufacturers (Nikon and Canon) took to easy approach and put it on the lens. I’m sure Sony will solve this, the question will be if it is at the cost of stabilization while using long lenses. My biggest concern with Sony is that they tend to change direction quickly (both good and bad), if you can be left with gear they no longer support abruptly, not saying that will happen in the photo world but they have done it on the consumer electronics since side several times. Not sure this will matter here but it’s ib the back of my head nonetheless. Finally the weight thing is a non discussion for me, .5lbs is hardly noticed for me when lugging the rest of my gear. And if I start to notice it I’ll add an extra hour at the gym. Since Sony’s in-body stabilization is compatible with in-lens stabilization, the obvious answer would be for them to make stabilized lenses in E-mount, since not all of their E-mount cameras have built-in stabilization anyway. But it’s a huge cost of development with a relatively small market, so it’s taking some time. Of course, one of those lenses is set to debut this summer already, so we have a pretty good idea of what they have in mind. The weight issue is a smaller issue than I’d like it to be, certainly, especially since most of the weight is going to be in the lenses, which are not significantly lighter than their SLR counterparts, for the most part. There is certainly a size advantage with the Sony bodies, if you have limited space. For me, the weight isn’t an issue when shooting with the camera, but when I’m walking 15 miles around a city with my equipment in a shoulder bag (which I prefer in the city for quick access). There, even a little weight can make a difference in comfort (shoulder and back) over the course of a day. And you’re right… I’m sure that Sony A-mount photographers would also agree with you about how quickly Sony can change course, though the A99 II was released last year and the line is technically still ongoing, its death is clearly imminent. Well stated. If fascinates me as an engineer the process companies go by to bring to market the latest tech and why others are slow to do the same. I think the best thing that Sony brings is healthy competition to the photography market as they are truly making Canon and Nikon have to up their game. 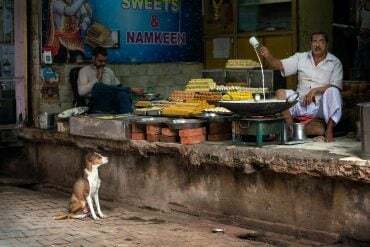 The best part is that we as consumers are the benefactors. The hard part for most comes with having to deal with all the glass one acquires, and that is what the traditional companies hope to keep you with. Sony because its’ flange distance is smaller can adapt other lenses (not perfectly especially is the case with Nikkor glass) but they are challenging the “old way” and it is a good thing. I personally can’t wait to see where this goes, my gut tells me that Sony will begin to push super high MP levels and more customized user experiences/interfaces and that will be interesting to see how the community reacts. Minimally we are in for an exciting ride as the battle between the Mirrored and Mirror-less DSLR’s continues. Nice review and good points. A7R wins in my opinion, it seems that it’s just the future – as the AF is getting on par with the DSLRs, the mirror is getting a bit obsolete. Ahh, jeez. Thanks! I’ll update the text above. (Maybe it wasn’t working on the pre-production one that I looked at… maybe I just made a mistake.). AF Sensitiviy	-3 EV for Sony and -4EV for Nikon. I would be curious to see how much better Nikon would perform in a low light situations. Like you said the Sony would be much better system for travel if you’re concerned about lightweight. But I do also enjoy the OVF on the Nikon when photographing fast moving objects such as the blue angels that I did this year( no black out). I got some beautiful shots of this with the new Nikon 300mm f4 Lens. I would love if Sony made a similar lens that’s very light weight like this one. Being overly extravagant maybe I’ll upgrade both systems if I can afford to_yikes!. 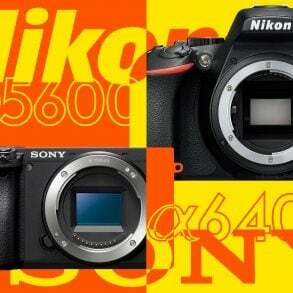 Or maybe Nikon will come out with a Mirrorless next that catches up with Sony, and I’ll buy that one instead. Of course this is pure speculation if they were able to catch up with a mirrorless full frame. Yes, in practice, -3EV autofocus is really more than I’ve ever needed… with the exception of one or twice shooting stars/landscapes at night with no moon. Generally, if there’s enough light to take a photo, there’s enough light to focus, for me. Shooting with the A7RIII at 10fps, I hardly had any blackout, though of course the image was a little jumpy… I didn’t think it was any worse than my SLRs for the same purpose, certainly. I think that I’m finally going to make the switch to Sony, and hope that Sigma and Tamron are sufficient supplements to Sony over the next few years to fill in the gaps in their lens lineup. And I’ll adapt Canon lenses if necessary. True… that was not well thought out comment; I know perfectly well that some medium format cameras have scored higher than 100 points. Thank you. Still, I’m glad to see that someone actually bothers to read the footnotes :-) Of course, what I meant was that the Nikon D850 was the first 35mm size DSLR to receive a score of 100 points or higher. I’ll correct the footnote to reflect that. Glad you found it useful, George!